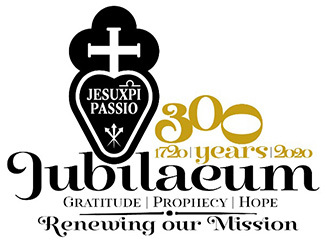 Forty-five Passionist Nuns, representing 28 monasteries in 13 countries, gathered at the Generalate of Sts. John and Paul in Rome to celebrate the first General Chapter of their newly formed Congregation. During the Chapter the following nuns were elected President of the Congregation and Counselors: Mother Catherine Mary Schuhmann (President), Mother Gertrude Poggio (1st Counselor), Sr. Daniela Almeida, Sr. Ana María Cabañas and Sr. Maria Martina Naiman. 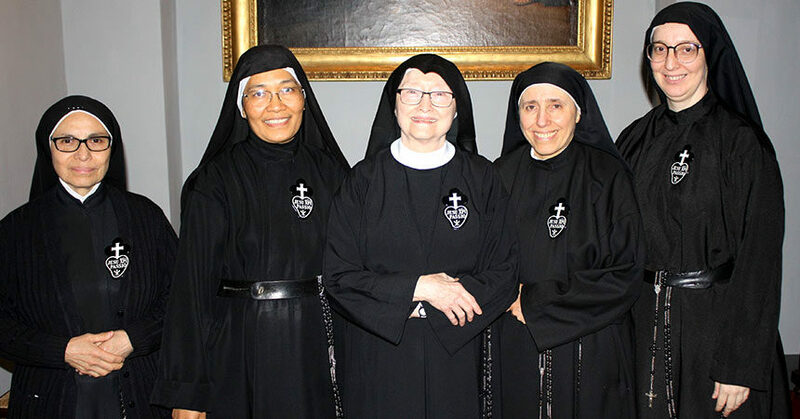 Foto (L-R) Sr. Ana María Cabañas, Sr. Maria Martina Naiman, Mother Catherine Mary Schuhmann, Sr. Gertrude Poggio and Mother Daniela Almeida.